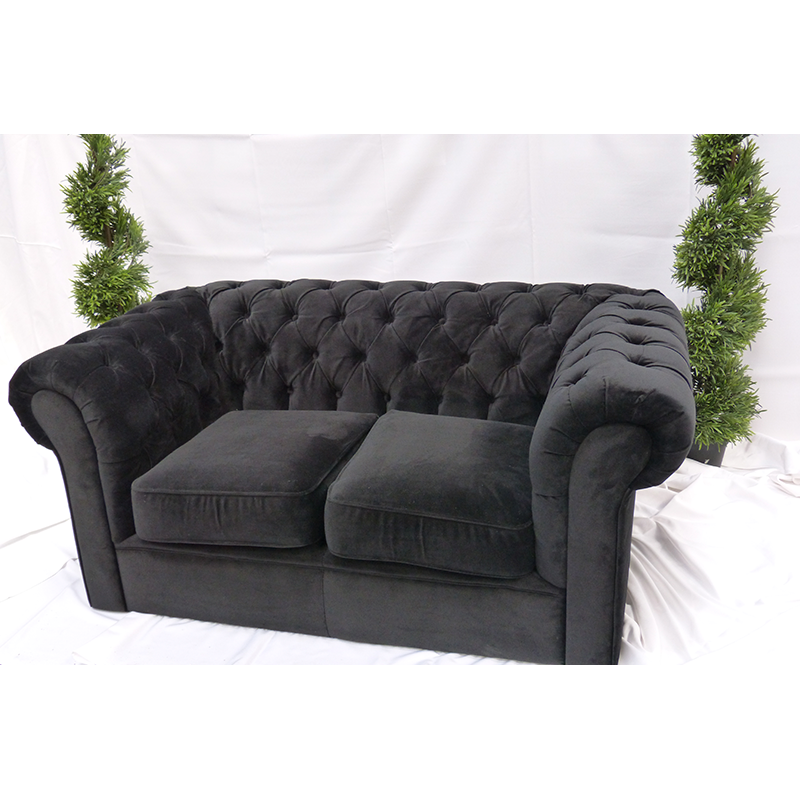 Our black velvet 3 seat sofa is inspired by the design classic and is crafted with button detail on the back and armrests, a plump seat pad and contrasting wooden feet. 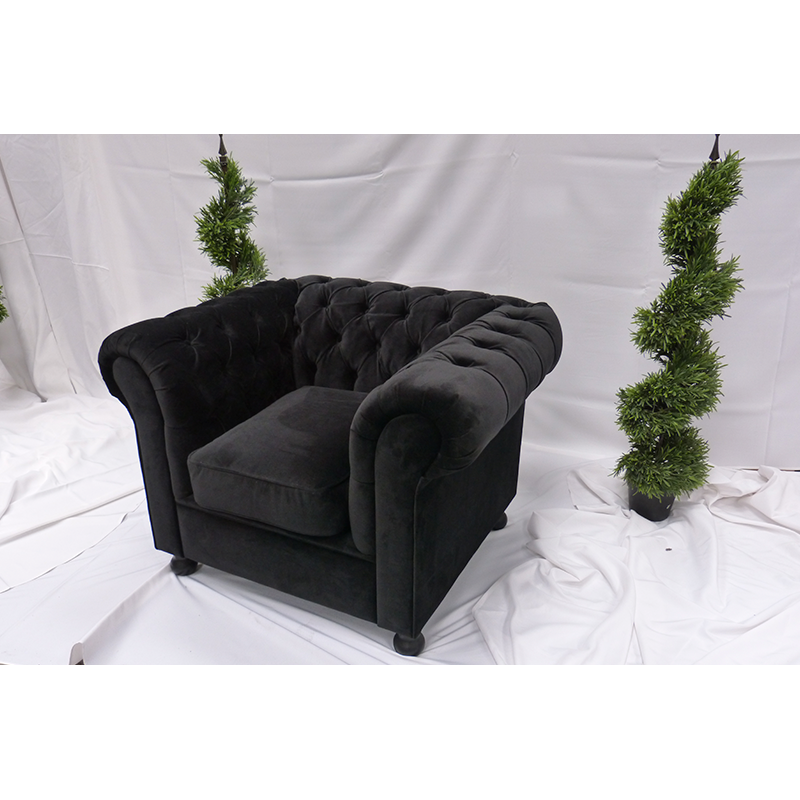 This seating range is incredibly versatile and can be hired for a variety of events including break out areas, weddings and exhibitions. 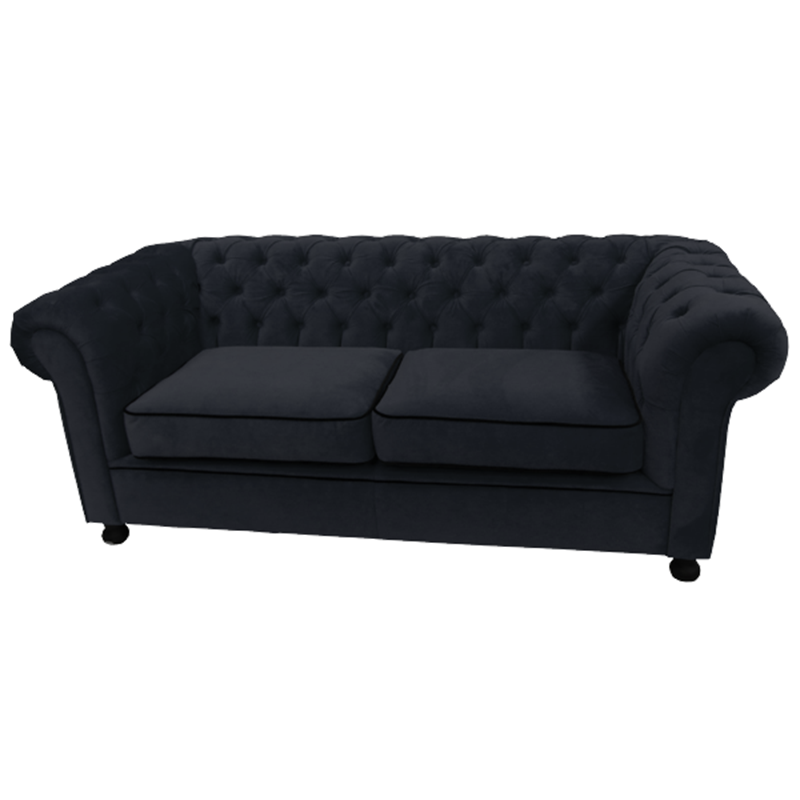 Our Chesterfield inspired 3 seater sofa provides classic good looks with high levels of comfort, mak..